Quibble's the name, never-before-seen used items is my game! I'm only in town for the weekend, so if something catches your eye let me know! Wassat? How do I get never-before-seen used items? Well, that's a trade secret. But just between us, I have a deal with a time travel fairy who brings me these things… even though they have not been built yet! They might show up later in the game or might be Rares that are never seen again! - During Talk Like A Pirate Day! Quibble's the name, never-before-seen used items is my game! I'm only in town for the weekend, so if something catches your eye let me know! The Time Travel faeries have supplied me with a bunch of pirate stuff from the future for Talk Like A Pirate Day! Quibble's the name, never-before-seen used items is my game! I'm only in town for the week, so if something catches your eye let me know! I normally only show up before a new Lord of Chaos… but Frostval is here, and I've got a whole sack FULL of presents to share!! Happy Holidays! Quibble's the name, never-before-seen used items is my game. I'm only in town for a little while, so if something catches your eye let me know! **Check out my all new FROSTVAL items for this year! It's coming soon so time to GEAR UP! 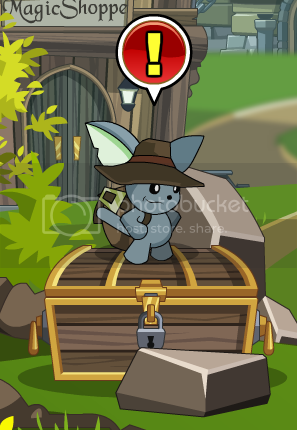 Quibble's the name, never-before-seen used items is my game! I'm only in town for a bit, so if something catches your eye let me know! I normally only show up before a new Lord of Chaos. I guess I'm runnin' a little late this time. Better exactly-on-time than never, I always say! Quibble's the name, never-before-seen used items is my game! I'm only in town for a little while, so if something catches your eye let me know! Come back NEXT WEEK to see my all new Talk Like A Pirate Day Items! I hear a lot of rumors with these big ears. Recently I heard that Chaos Lord Ledgermayne might have had a falling out with Drakath! I guess he didn't like the way Drakath was running things. If Drakath himself can't even control Ledgermayne, I wonder what can be done to stop it?! Quibble's the name, never-before-seen used items is my game! I'm only in town for a little while, so if something catches your eye let me know! I've got a really interesting set of items this time but variety is the spice of life so LIVE IT UP! In my travels I've heard of Zahart. He was a weak mage who made his live conning poor folk out of their gold until he somehow got his hands on a ring which allows him to control Tibicenas, the Chaos Djinn! How do you fight someone with the power to grant wishes?! With MY GEAR, That's how! AHOY! Quibble's me name, an' never-before-seen used items is me game, YAR! I'm only in town for a little while, so if somethin' catches your eye let me know! Check out my all new Talk Like A Pirate Day items and house items! I hear a lot of rumors with these big ears. Recently I heard that a Chaos Lord has been chosen by Drakath in Bloodtusk Ravine! The Trolls think he's selected a Horc, and the Horcs are sure it's a Troll. No matter who it is, they are definitely causing Chaos! It's not going to be easy restoring peace to the Ravine! Thanks to Darkfirekiller, Haileym1, LiteSage, mturf, Tendou no Mazo and Zyrain.